Lupines. 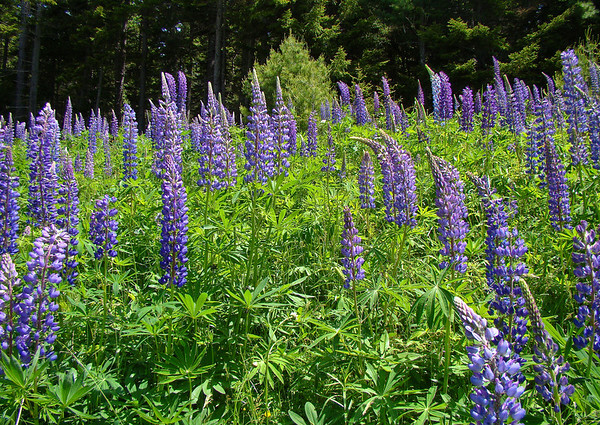 Perhaps my view is distorted by too much exposure to “The Lupine Lady”, one of my childrens’ favorite picture books, but I am always amazed by the display of lupines in Maine in June. There is one patch near my home that I have photographed just about every year. 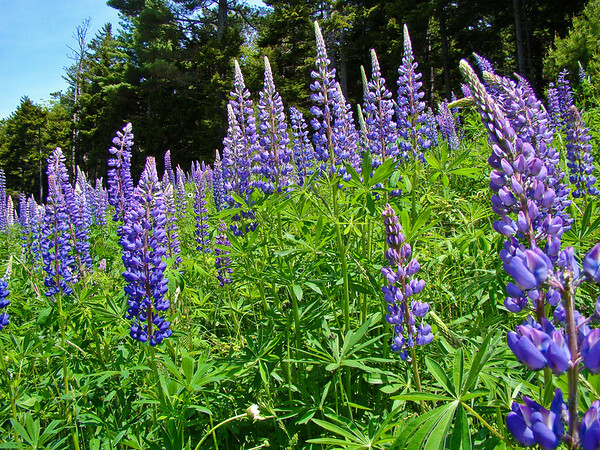 This year I got my lupine fix on a trip to Acadia National Park on Mount Desert Island near Bar Harbor ME. They were all along the highway on the way up, and I spent most of our only sunny day on MDI looking for the stand I wanted to photograph (among other things of course). They tend to favor waste ground…roadsides and disused fields, and I wanted a proper background. This was it (or at least as close as I got this year). Sony DSC H50 at full wide. F4.5 @ 1/250th @ ISO 100. Programed auto. In Lightroom, just my standard added Clarity and Vibrance and the Landscape sharpen preset. I also nudged the blackpoint over to the right slightly and cropped just a bit at the top.